Hello everyone, I know I am a teacher in my son's eyes but today he taught me something pretty amazing!!!! MIND OVER MATTER!!! Rather, reinforced it!!! 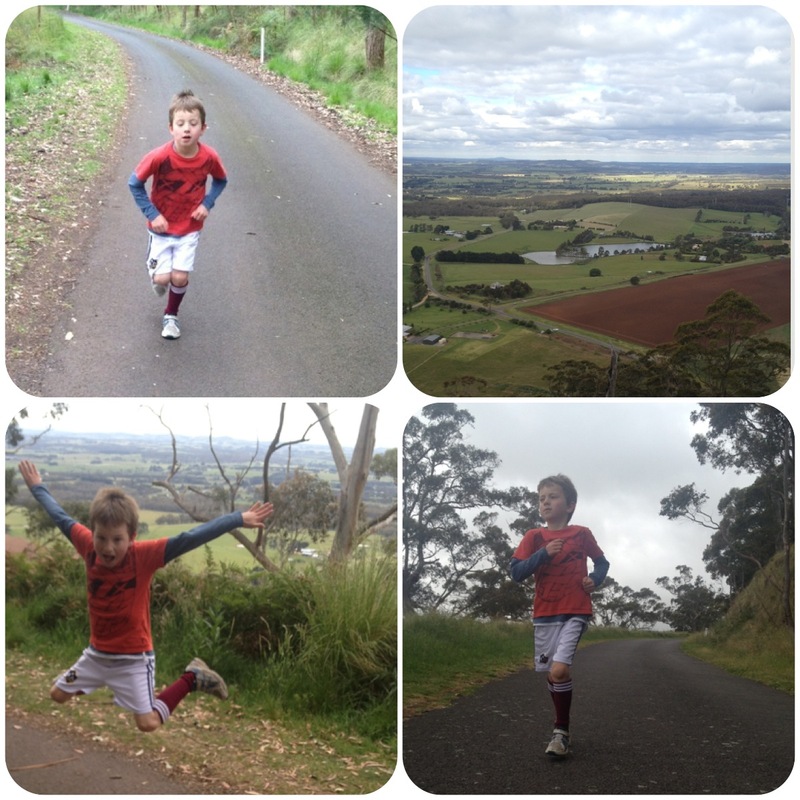 "C'mon Mum, we can run up that Mt Buningyong hill! Don't be scared!" The belief in his eyes and passion made me bounce outta bed, put my running shoes on and go for this run! Mountain Buninyong...elevation 719 metres above sea level. 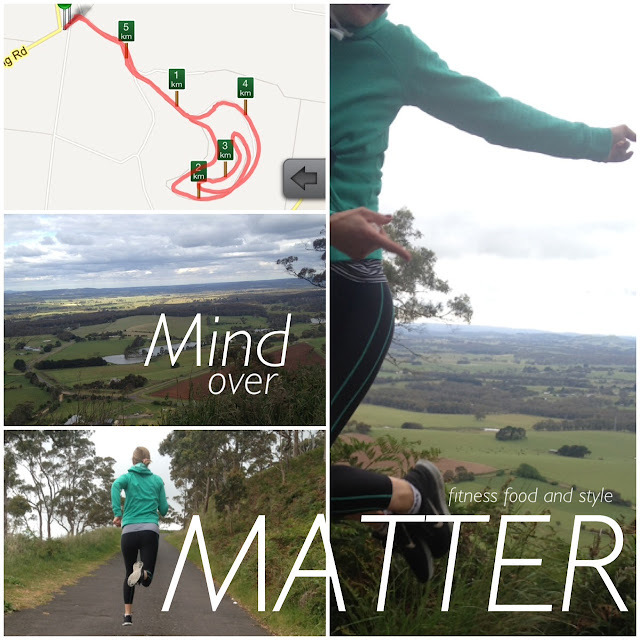 Mount Buninyong is a hill overlooking Ballarat in Victoria, Australia. Formed from an extinct volcano. We only managed to run a 5.5km course however I was super proud of Noah as he only stopped when we had to take these photos. Of course to show you all!!!! Seriously amazing stuff, the views were amazing and I was super proud of Noah as he also had his soccer game this morning and I thought this would completely exhaust him. But no! He was super charged! Said he was going to smash this mountain, and he did!!! I must admit, I didn't want to do this run. I even sent a sms to our running trainer to say I'd give it a miss. Why? I drove the car up the mountain yesterday and I got scared! Yup! I didn't think I was built for something this extreme, so best I don't attempt it at all. Especially when I'm not a real runner and haven't ran since Run Ballarat (although I do think I did a 3km run?). Anyways, I didn't think I had enough training or prep work to get me up this hill! So I got discouraged and thought best I set some smaller goals......and do the Mt some other time. But no! Thanks to my little champion Noah, he ENCOURAGED me do this run and for that I am truly grateful. I love you honey. We had a full on day today with many parties and this one was completely spooky!! 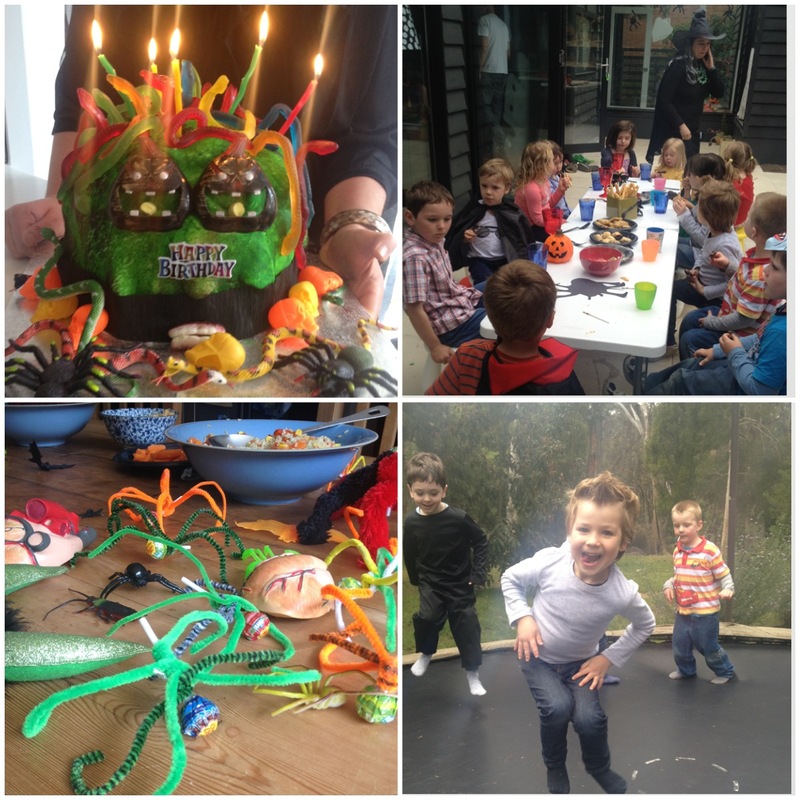 Our new friends did a sensational job with the cake, decorations and activities today. How cool is the cake?? I loved it!!! Oscar's a classic jamming away on the trampoline above! 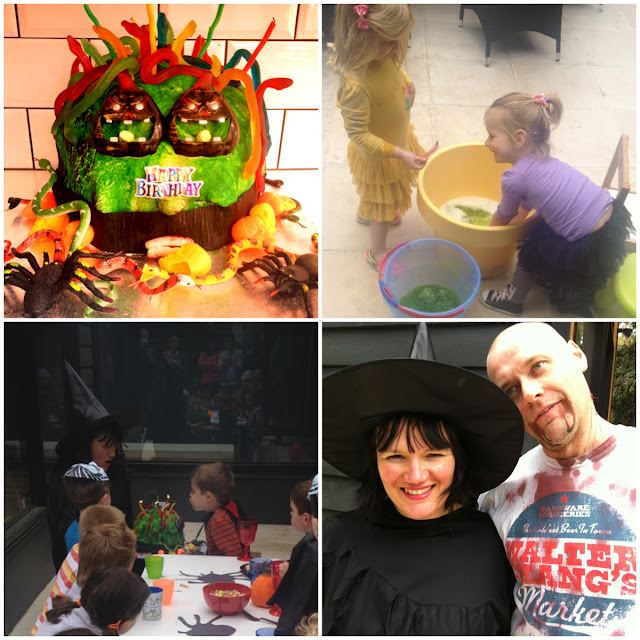 Mietta and her new little friend were searching for some spooky stuff in the green goo, while the hosts dressed up as a witch and zombi!!! Thanks for a great day guys!!! 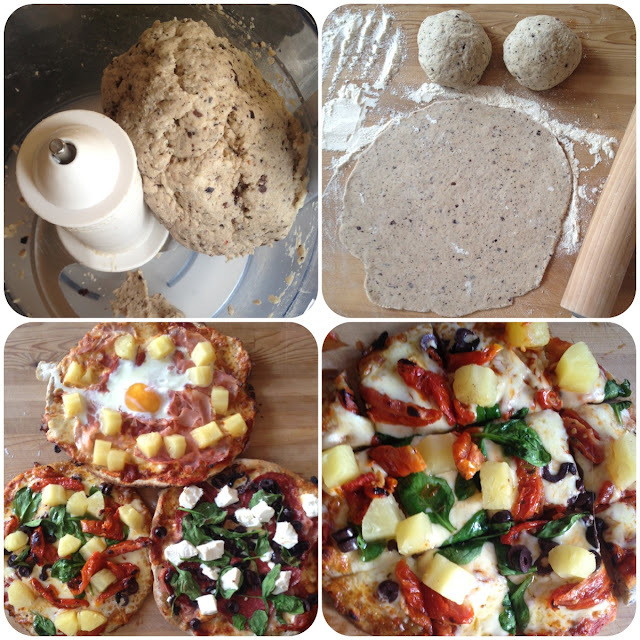 I had a lot of requests from Facebook and Instagram to post the recipe for our pizza's last night so here it is. Enjoy! These seriously take under 10 minutes to make and eat!!! !